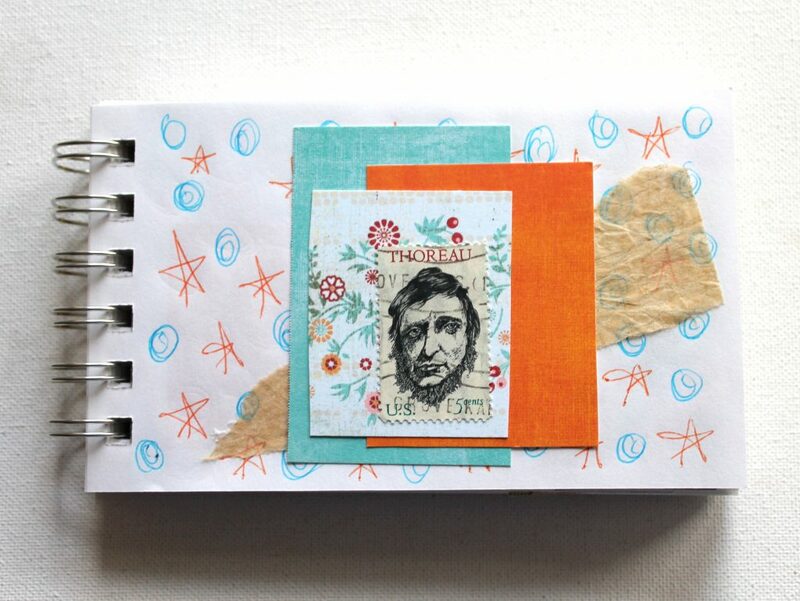 I’ve started a fun new art journal! 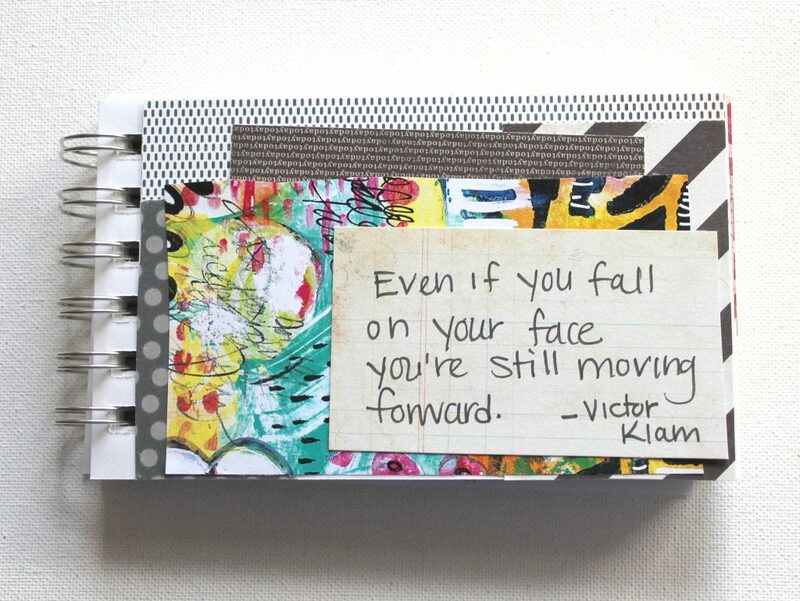 I’ve made an art journal in this format before and it can be really freeing. I’ve been feeling kind of overwhelmed with all the ideas and things I’ve wanted to do. 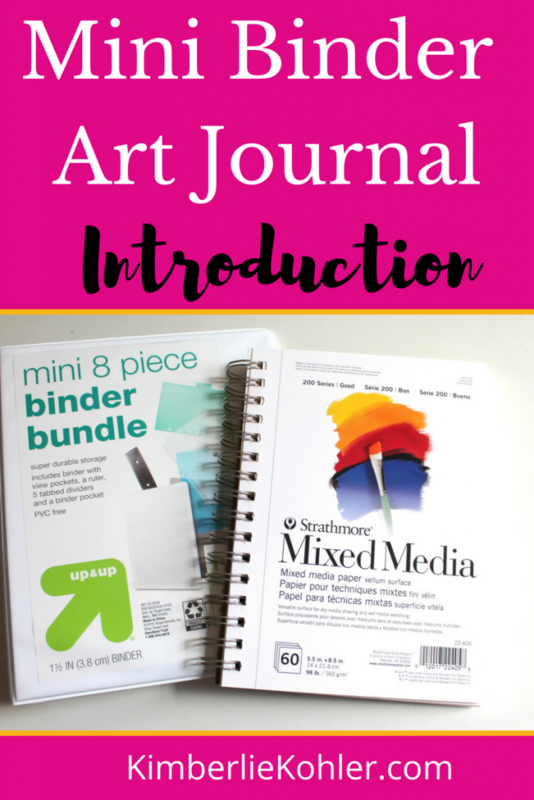 I’m hoping this art journal will just give me some freedom to create what I feel like creating any given day. I got a mini binder from Target. It came with some extra accessories. 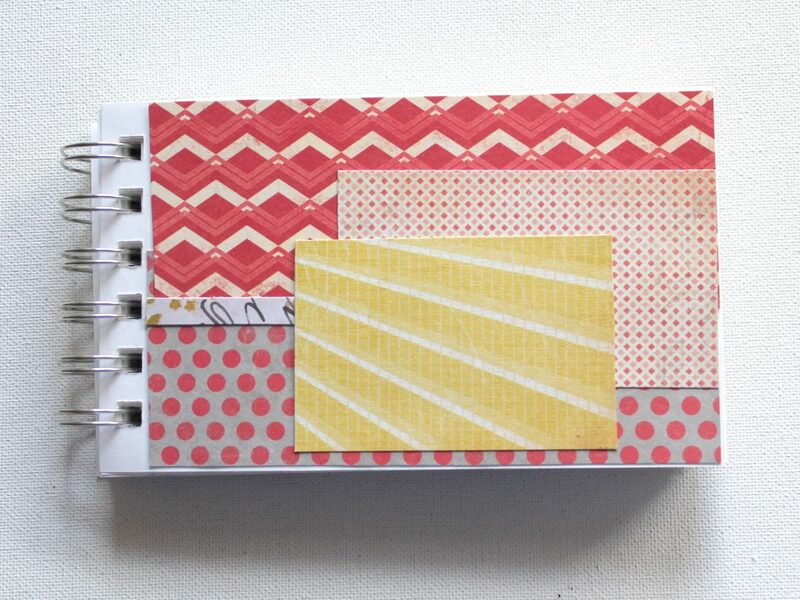 I probably won’t use the dividers, but I’ll use the envelope page and the ruler. 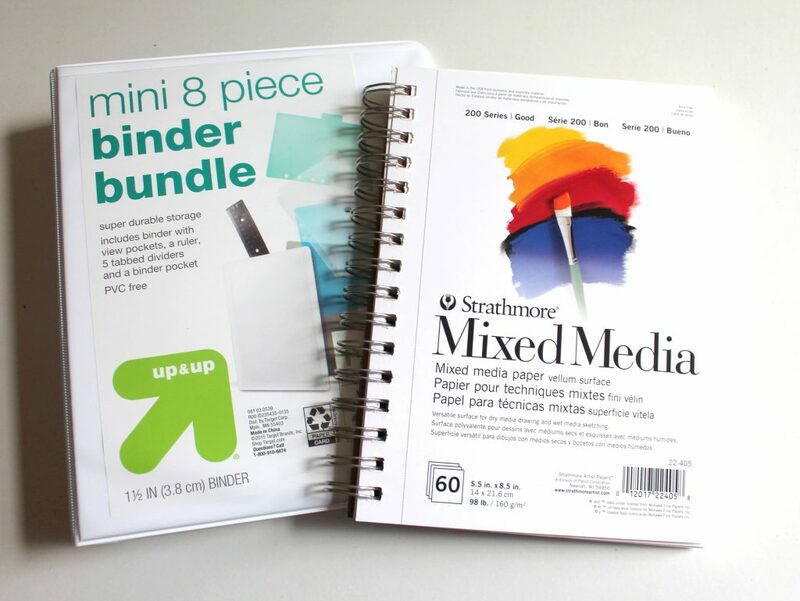 I also got a Strathmore Mixed Media notebook that is the perfect size to go with the mini binder. The pages are perforated and I will rip them all out, hole punch them and put them in the binder so it’s not just blank when I want to use it, which would make it more overwhelming. 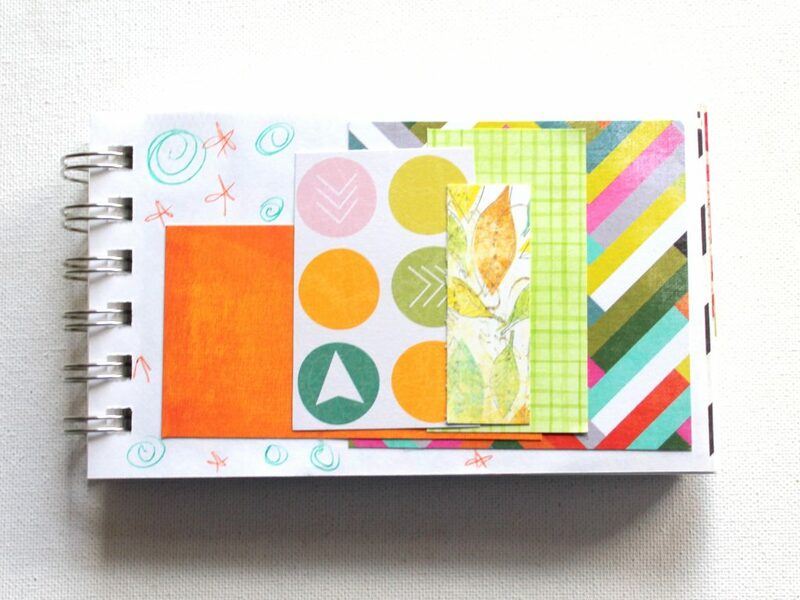 I’m planning to do a page each day. Whatever I feel like doing that day, I’ll just do and put in my binder. Come back next Friday to get an update and see some pages I’ve created so far. 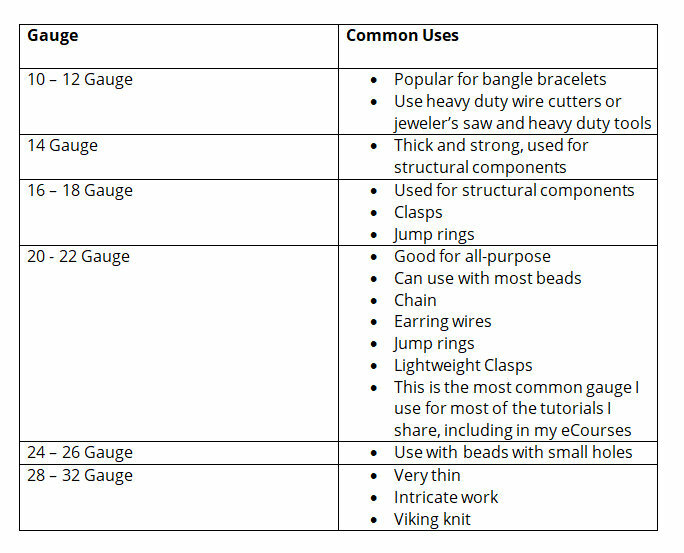 Learn about wire types and uses in this video and PDF worksheet below. Gauge is the thickness of wire. Remember: the higher the number, the thinner the wire. You’ll see gauge often notated with “ga” after the number, i.e. 18 ga. Most of the time I suggest half-hard for my tutorials and in my eCourses for wire wrapping. If you’re using sterling silver and some other types of wire, you will find a hardness notated. However, for a lot of craft wires or artist wires you will not. I use Parawire, which is silver plated wire, and there is not a hardness indicated. Often these wires are very similar to half-hard wire. Memory wire is great for bangles or loops; however, it is not for wire wrapping. Also you’ll need heavy duty wire cutters to cut memory wire. For most everything I make and teach I use 20 gauge, half-hard round wire. For clasps I’ll use 18 or even 16 gauge wire. Occasionally I’ll use 22 or 24 gauge for wrapping onto a structural piece or with beads with smaller holes. Now that you know wire types and uses, why not put them to use? Take my Wire Wrapping for Beginners eCourse and learn how to make jewelry components like headpins, jump rings, chain and clasps and then get the “recipes” to put together the components to make earrings, bracelets, charm bracelets, necklaces and wire wrapped rings! Use techniques you’ve learned previously together to form this elegant necklace. 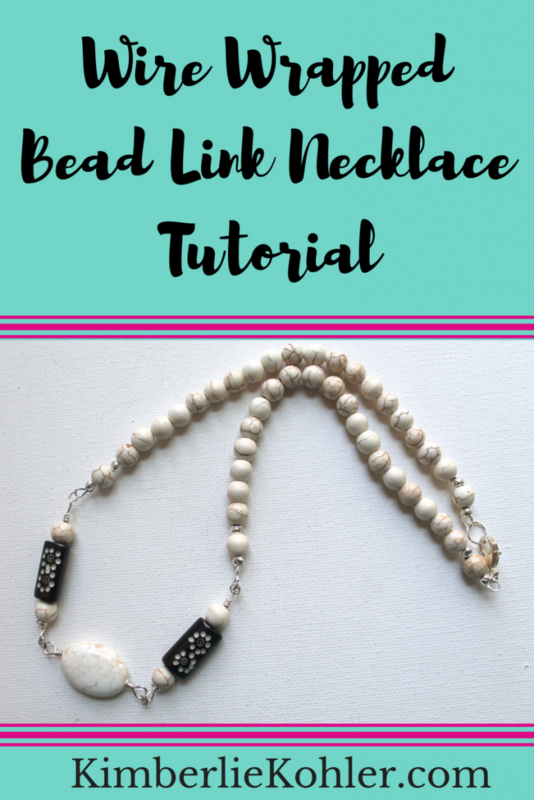 As always, you can customize this necklace in many ways or use the techniques in different ways to create your own personal style and creative expression. Learn to make beautiful, sturdy, professional wire wrapped jewelry! 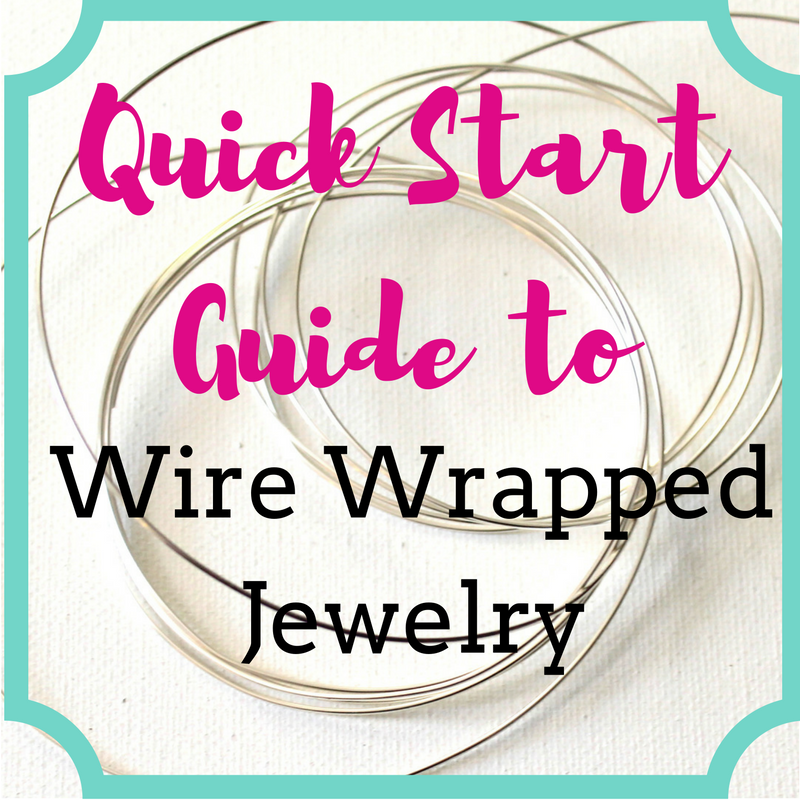 I show you how, step-by-step, in the Wire Wrapping for Beginners eCourse! Learn all the components and techniques you need to make earrings, bracelet, charm bracelets, necklaces and rings! Plus be inspired to express your own creativity, going beyond just following step-by-step tutorials, but infusing your own style into the jewelry pieces you create. 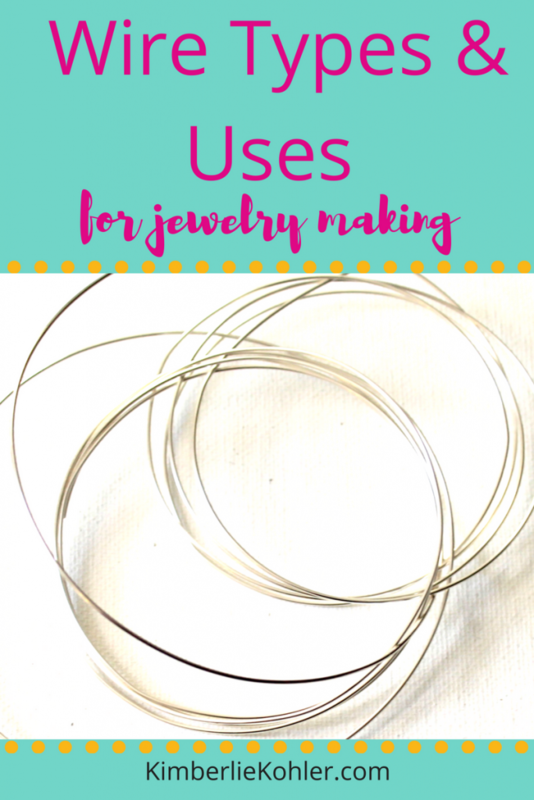 After you know how to make all of those components (the “ingredients”), I give you the recipes to put together beautiful wire wrapped jewelry, such as Earrings, Bracelets, Charm Bracelets, Necklaces and Wire Wrapped Rings. Learn more, find out if it’s a good fit for you and sign up (and get started immediately!) here: Wire Wrapping for Beginners. 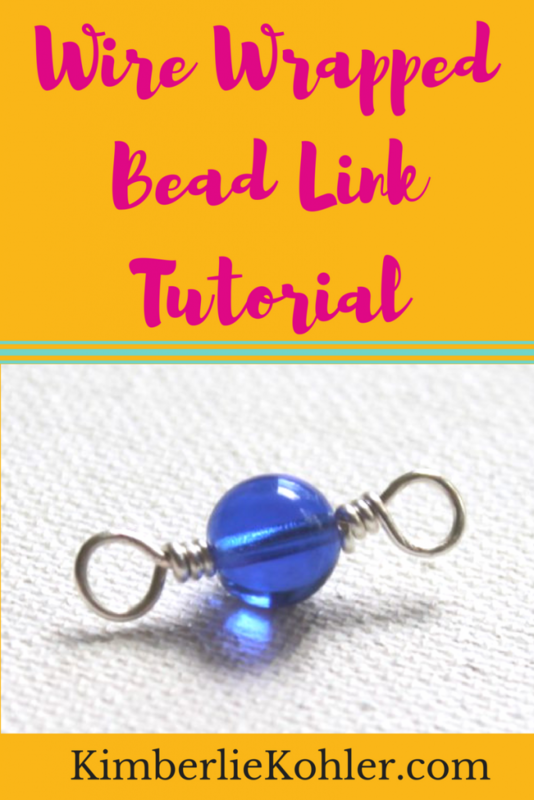 Today I have a video tutorial for a basic component of wire wrapped jewelry, the Wire Wrapped Bead Link. Learn this technique and then you can use it in your jewelry pieces in many ways! Next week we’ll use this as a focal in a jewelry piece. 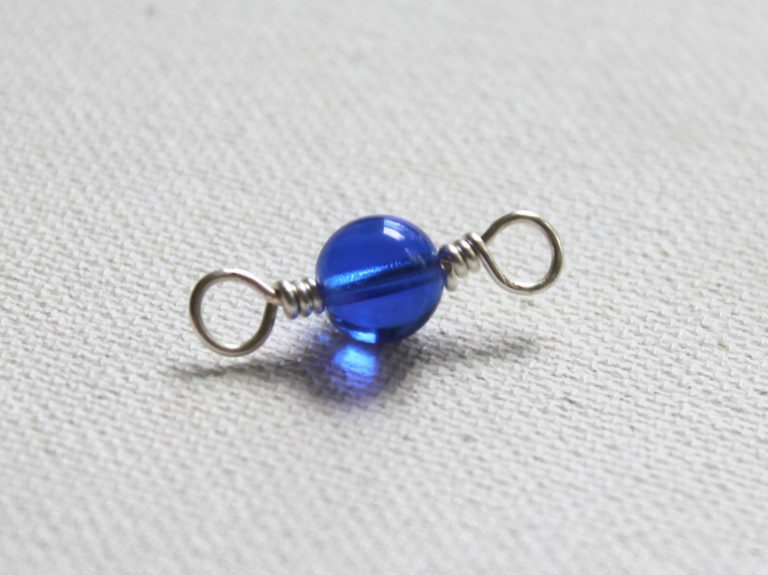 Are you itching to get started making wire wrapped jewelry? 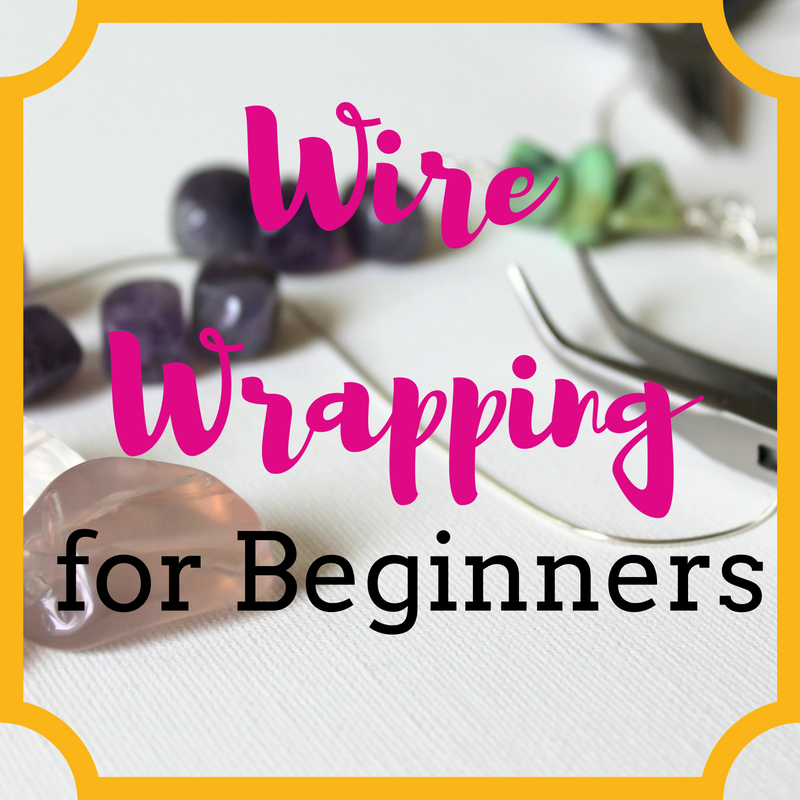 I invite you to check out and enroll in my eCourse Wire Wrapping for Beginners. Jewelry projects recipes using those components. All the component tutorials include videos and PDFs that have photo + written step-by-step instructions. The jewelry project recipes include those components and ideas for customizing the pieces to your own preferences and style so you can express your creativity. Enroll now and get started right away and keep lifetime access. Learn more and see the full curriculum at Wire Wrapping for Beginners. This year I’m participating in #The100DayProject. I didn’t really think I would post on my blog about this because I’m actually not great at keeping up with projects that are that long. But so far I haven’t missed a day and it seems really manageable, so here I am. 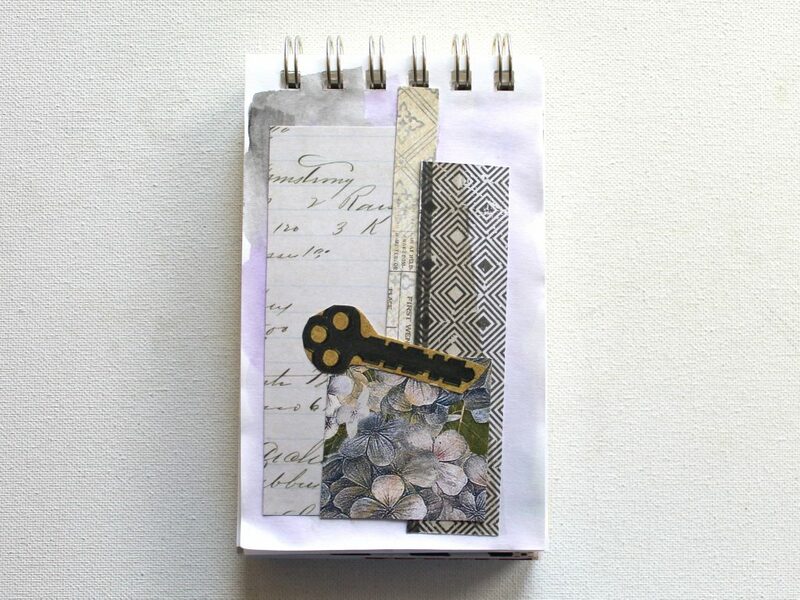 I didn’t want to add another big “To Do” to my list and I wanted this to just simply be fun, so I chose something very easy and quick. I didn’t actually know what my plan was for it, but then that night I found out about The 100 Day Project and this pad has exactly 100 pages. 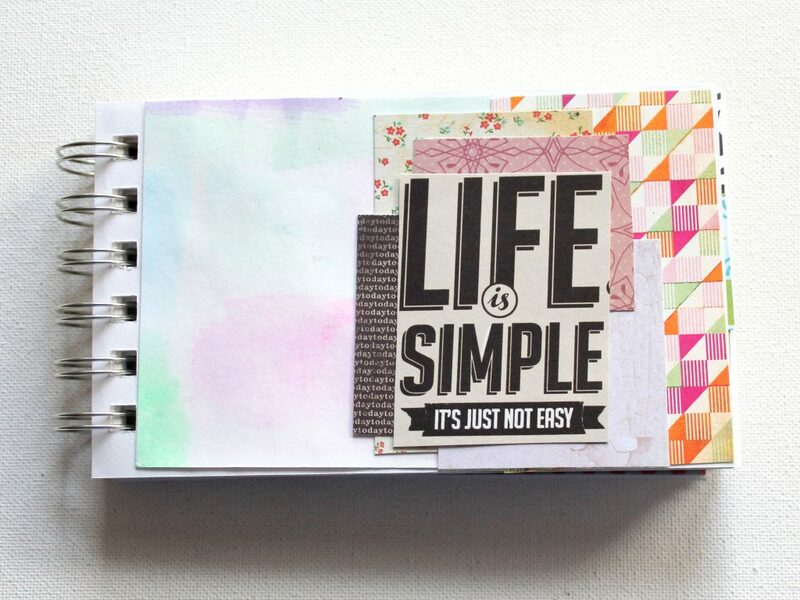 I decided on mini collages because I love creating collages. 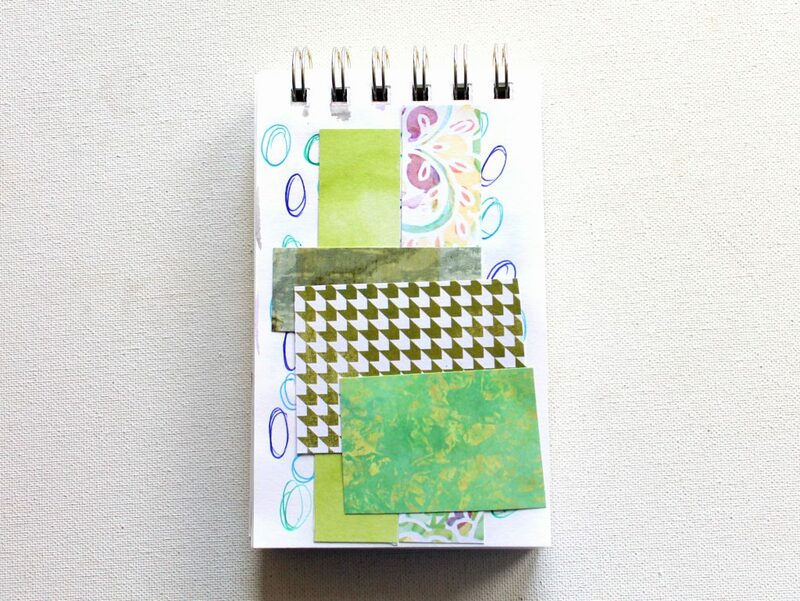 I have little scraps of paper I save to use up. I also needed something portable because I’m traveling a lot and I didn’t want to miss a day. 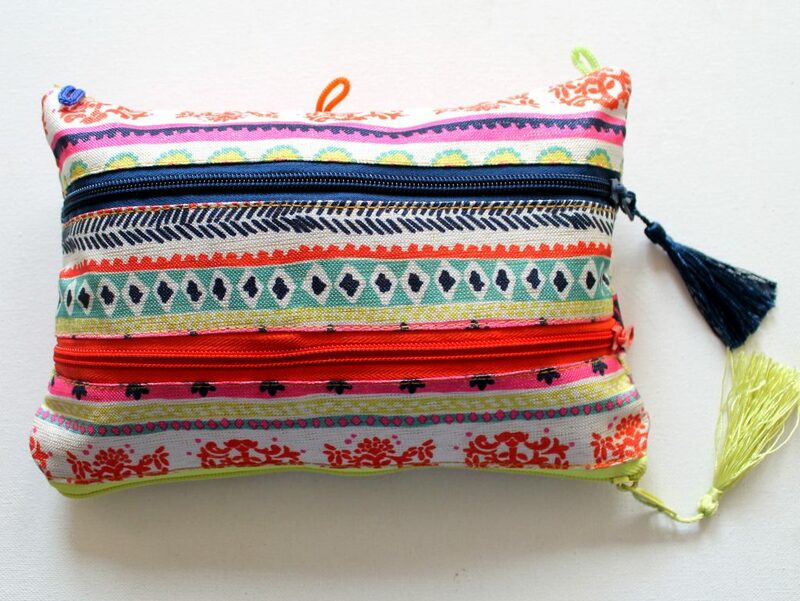 Everything I need fits in this cute pencil pouch. 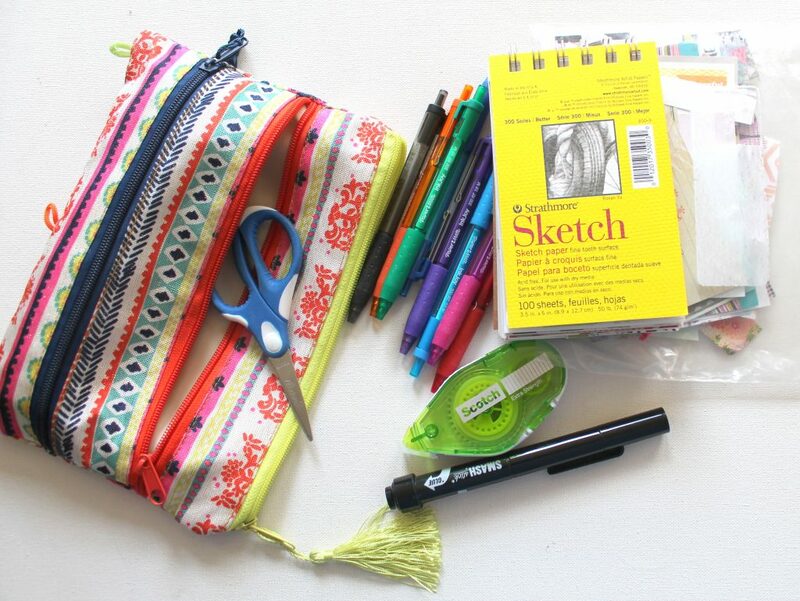 I have a Ziplock baggie of paper scraps, different colors of pens, little scissors, tape runner, a black pen and the actual little sketchbook itself all fit in there for easy travel. 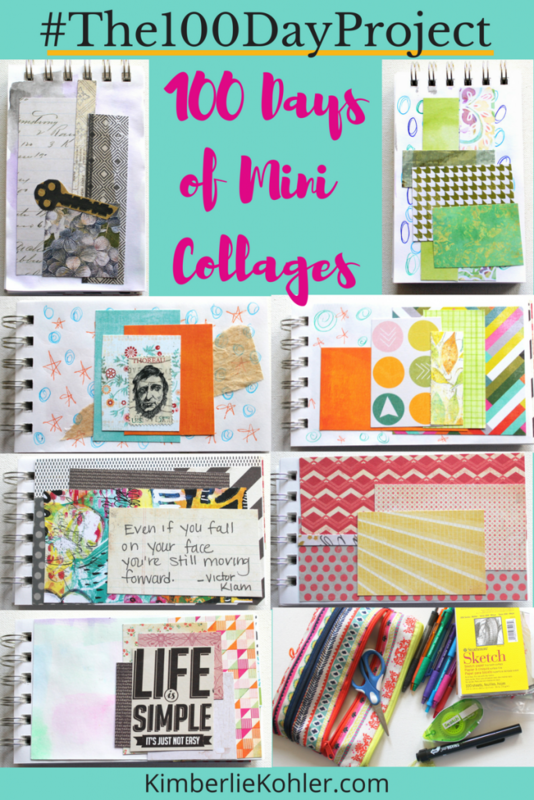 I’ve completed a new mini collage every single day. Usually I do it in the morning before I get my day started. It only takes a few minutes. Then I take a quick photo and post it on Instagram. That’s another thing I had to get over to make this project less complicated. I actually hate taking photos with my phone. Even on Instagram I typically take photos with my big camera and then upload them. That process is fine, except if I’m doing this every day and taking a photo for Instagram every day then I needed to let go of having perfect photos and just take cellphone photos of the projects, especially since sometimes I’m rushing off somewhere as soon as I get the collage done. And it’s been fine. In fact, it’s been very freeing and fun. I’m using the specific hashtag #100DaysofMiniCollages for my project. It’s been really fun and inspiring to do this so far and I’m excited to continue!